Raise your hand if you would’ve just given up and fell to the ground in agonizing defeat. Japan's Kei Nishikori drops racket mid-point, wins point anyway. SNL star Leslie Jones got unwanted attention on Twitter when she had to put racist and sexist trolls on blast, but she also garnered support from the thousands of other nice human beings with the Love For Leslie J tag and even got the attention of Twitter bosses to help change their policies. This time around, she’s trending for a much more positive reason, thanks to her energetic tweets, pix and videos supporting Team USA. Former SNL producer/Late Night with Seth Meyers producer Mike Shoemaker took note of Leslie’s posts, and got the attention of Jim Bell, the executive producer of NBC’s Olympics coverage, and next thing you know, he officially offered Leslie a correspondent job at the Games and she’s down in Rio giving her commentary live! The power of social media, y’all. She also winked at the judges before her final floor routine during the team all-around, so she’s basically our favorite. 17-year-old British gymnast Ellie Downie, another medal contender, was in the middle of her floor routine for the qualifying round when she turned too slowly on one of the passes and basically landed on her neck. It was scary (as evidenced below) and she decided it didn’t feel right and had to walk away without finishing. She got checked out and instead of pulling out, she surprisingly returned for the vault and help move the Great Britain team to the finals. 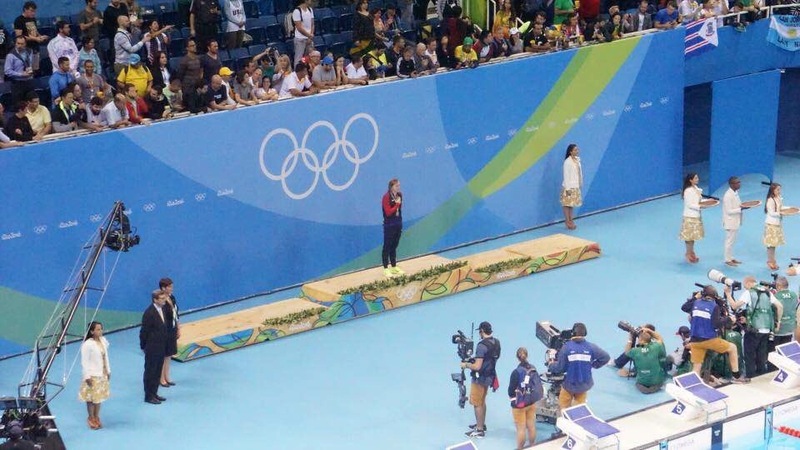 Fu Yuanhui placed third in the semifinals of the 100m backstroke, but she thought she placed fourth until this reporter told her she was one second faster than she thought. Her response: “I was so fast!” This video went viral and here we are obsessed with her and her hipster glasses and dorkiness. 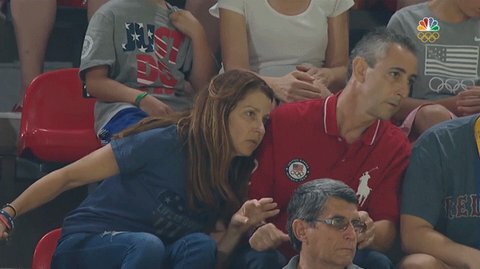 Lynn & Rick continue their 2012 streak of being the best and most stressed parents in the stands. Katie Ledecky’s parents come in a close second. August 11th, 2016: A really great day for Olympians named Simone. A) Simone Biles lived up to expectations and won the gold for the all around competition. She also cried when she finally won, which is emotion she’s never really shown before. Whereas I tend to cry every 5 seconds during the Olympics. B) Simone Manuel, who didn’t exactly have as much attention on her as Simone Biles, seemingly came out of nowhere (to pedestrian swimming fans) to win the women’s 100m freestyle and tied for gold. On top of that, she scored an Olympic record and became the first black American woman to win an individual swimming event. Basically, she is now America’s hero athlete and should probably be on the Wheaties box now? 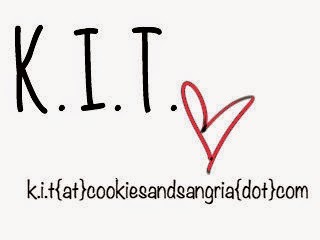 Puerto Rico isn’t doing great (short recap: the US gov’t attracted business to PR with corporate tax breaks which expired in 2006; financial collapse followed; PR borrowed money by issuing municipal bonds – mainly to private investors; the gov’t cannot repay their debt obligations; the island isn’t eligible to file for bankruptcy or seek funds from the IMF; terrible budget cuts have ensued; yikes). But last week, Puerto Rico got a much-needed morale boost from Monica Puig, the first-ever athlete to win a gold medal for the island. Even more amazing, she was unseeded and beat the #2 seed, Angelique Kerber, for the win after rounds of improbable victories. 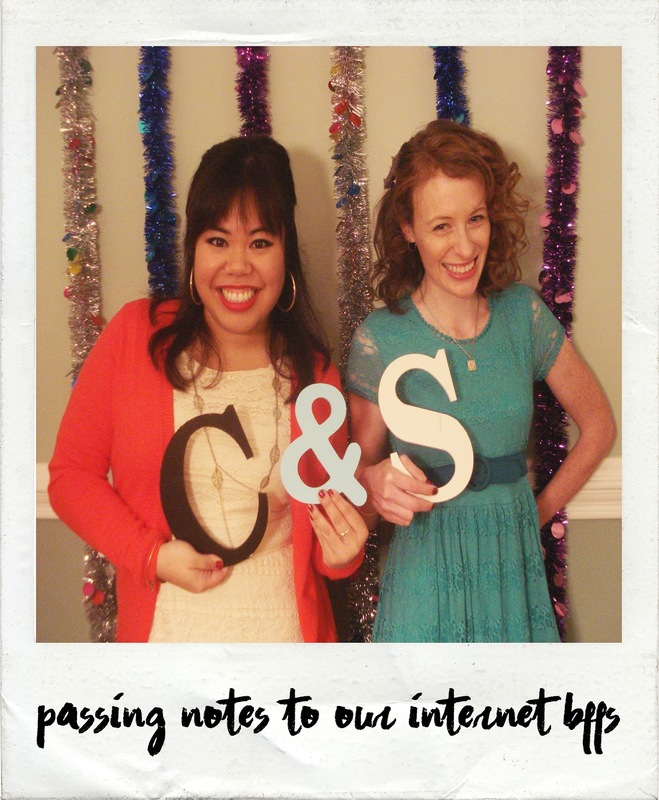 The crowd chanted ‘si se puede’ and we both definitely cried. In related news, I have a lot of Puerto Rican relatives-in-law – a few of whom are tennis pros – and literally every one of them used the word ‘wepa’ in their Facebook statuses that night. Ryan Held was overcome with emotion during the medal ceremony after winning the 4×100 meter relay and began crying during the national anthem. Then WE began crying during the national anthem — not because we felt bad for him, but because we were so happy for his success and because masculinity is a prison and we’re so proud when someone breaks out. 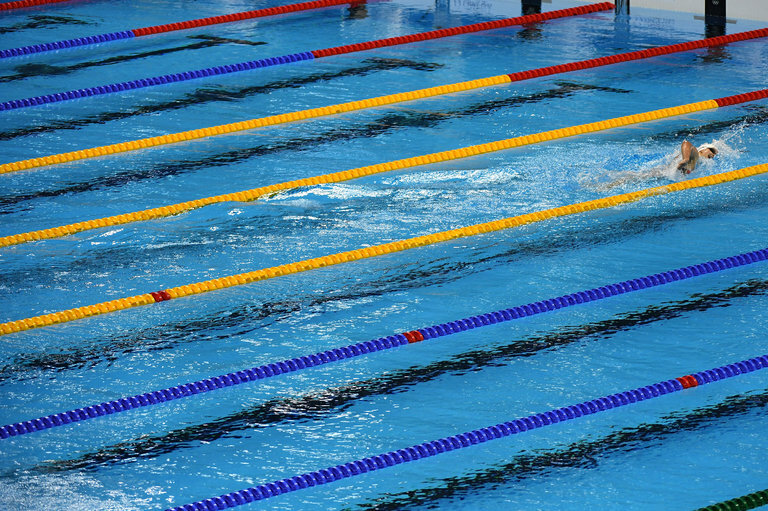 Katie Ledecky finished her race before any other swimmers were even in the frame. It’s fine; she can wait. 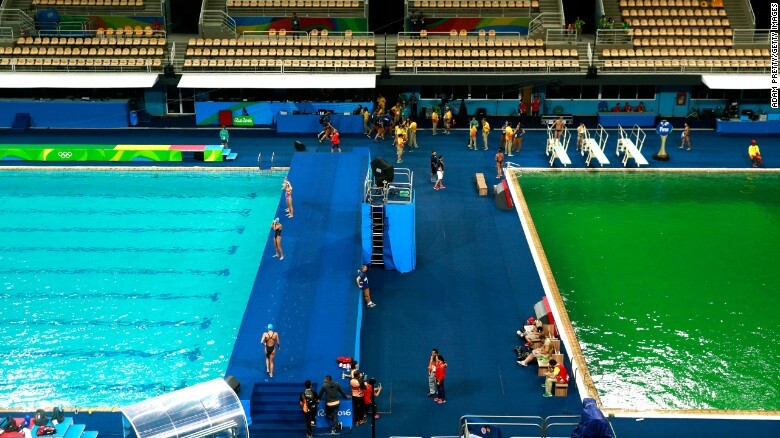 The pools in Rio, while technically safe, look very murky and gross thanks to an interaction between peroxide and chlorine. It has since been drained. I’m sure this did nothing to help public confidence in the Brazilian water quality. 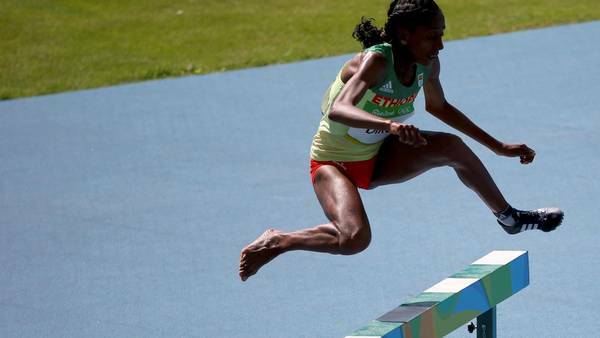 Ethiopian steeplechaser Etenesh Diro (ranked 4 in the world) lost her shoe with two and a half laps left in the race. She still finished seventh and advanced to the finals. If you had any delusions that Olympians really are like you and me, now’s the time to let them die. 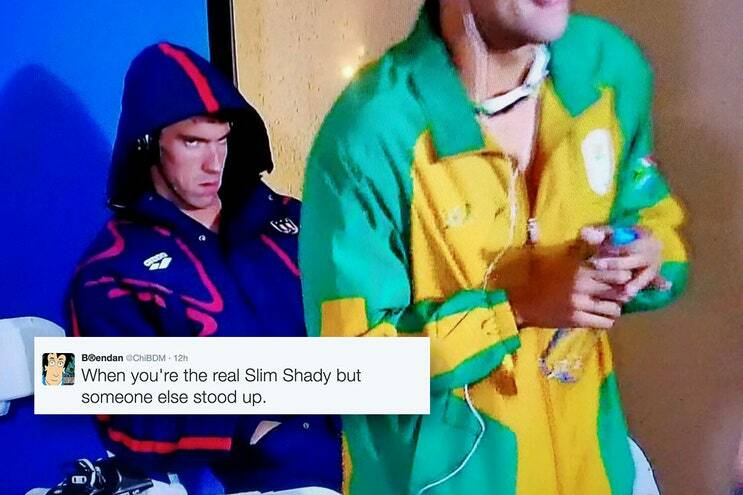 We’ve already discussed this, but Michael Phelps’ grouchy face earned him the coveted (?) prize of most memed athlete of the 2016 Olympic games. He also won a few other competitions this week, so it’s fine. First of all, we’ve reached that point where Hamilton has so saturated popular culture that news outlets feel the need to show off that they know what it is. Second, One Last Time from Hamilton is the only proper way to express how we feel about Michael Phelps’ final race, so we don’t at all blame NBC for going there. Twenty-three gold medals and 16 years since we were first introduced to the 15-year-old baby Olympian, it’s time to teach us how to say goodbye. Enjoy your vine and fig tree, Michael. Just when you thought Ryan Lochte had reached his maximum ‘jeah’ level he bleaches his hair, gets distracted playing with a bend-y thing when Michael needs him, and – best of all – responds to BRAZILIAN KIDNAPPERS with a simple ‘whatever’ when robbed at gunpoint.